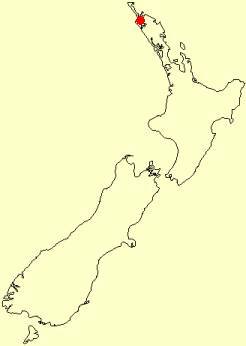 We live in the Far North of New Zealand, in Diggers Valley, which was so named because the area's first pakeha settlers were men returning from the First World War in Europe, who were assigned farms here as resettlement packages. The valley road runs from Herekino through to where it joins the Takahue Road. We are around 18km (by road) South-East of Kaitaia, New Zealand's northernmost town, a journey which generally takes 15-20 minutes. The valley has its own extremely wet microclimate, thus we live with mud for a lot of the year, but rarely do we worry about drought. We are surrounded by hills, many of which are still clad in native bush. On both sides of the farm, land owners have dedicated parts of their property to reserves, the benefits of which are many. We have large numbers of kukupa/kereru or native pigeon in the area, as well as, we believe, a number of kiwi. There are river and road-banks which are home to populations of glow-worms. This is a most beautiful place, one which we particularly like to share. Whilst our accommodation is not the most luxurious, there are areas on the farm which cry out in the summer for a tent and the enjoyment of its occupant(s).